Seton Hill University freshman Patrick McAteer models an Impower brand t-shirt, a business created by SHU graduate student Jack Wardale and alum Mitch Ever. Photo courtesy of J.Wardale. Seton Hill University graduate student Jack Wardale and alum Mitch Eger are trying to change the world. The former SHU soccer players have always had business ideas, but now they have taken two steps forward and are pursuing their dream. Wardale is currently in the MBA program and was a biology major. Eger was an exercise major. 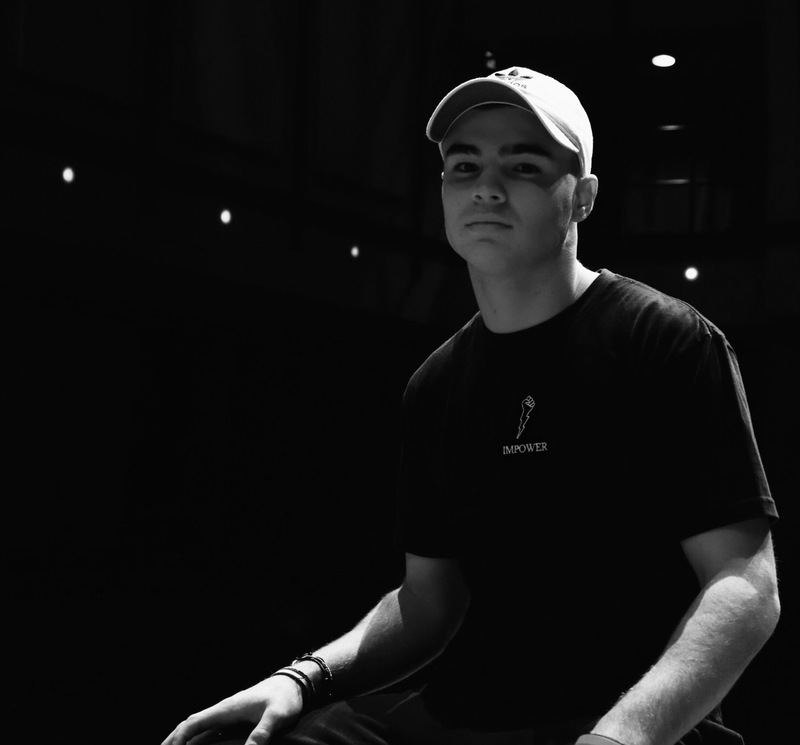 Wardale started his own YouTube channel (Jack Wardale) seven months ago in attempt to change the way people think and to promote positivity and fulfillment in life. Impower recently opened its website, www.iamimpowered.com. Impower gives customers the power to help a charity of their choice with their purchase. All products are manufactured in the U.S. Online orders will begin soon. Impower can also be found on Instagram at @iamimpowered. Anyone who would like to model for Impower for upcoming releases can email helpimpower@gmail.com.